Over the past few years, Komatsu has been increasing its investment in innovative technology, including an accelerating use of telematics, to drive the future of civil construction, earthmoving and related industry segments. Telematics encompasses telecommunications; machine technologies; transportation and safety; sensors, instrumentation and wireless communications; information communications technology (ICT); and global positioning technology. 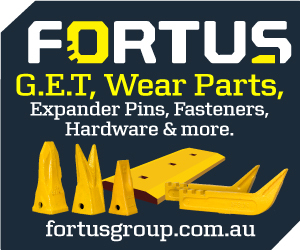 It is Komatsu’s investment in telematics, allied to the development of a major ICT (information communications technology) centre at its Australian headquarters in Fairfield, Sydney, that is allowing it to achieve breakthroughs in machine management, project management, site supervision and planning, and long term infrastructure maintenance and support, said Todd Connolly, Komatsu’s General Manager – Construction Solutions, “For example, all Komatsu’s latest product releases incorporate our KOMTRAX Step 5 remote monitoring capabilities, giving machine owners and fleet managers unprecedented access to very detailed data about every aspect of a machine’s operation – and available online via computer, smartphone or tablet 24/7,” he said. According to Connolly, KOMTRAX gives Komatsu and its customers the ability to identify potential issues with a machine, well in advance of them causing a breakdown, so they can be rectified and repaired in a timely manner. 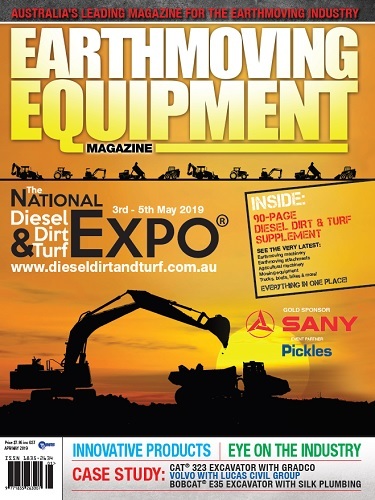 “Since it was introduced 10 years ago, in late 2008, KOMTRAX – which is available free on every Komatsu machine sold in Australia, New Zealand and New Caledonia – has grown to cover more than 11,000 machines,” he said. “Customers and their operators are using KOMTRAX to not only identify and fix potential issues before they become problems, but also to improve machine and site performance and productivity, and even operator skills. 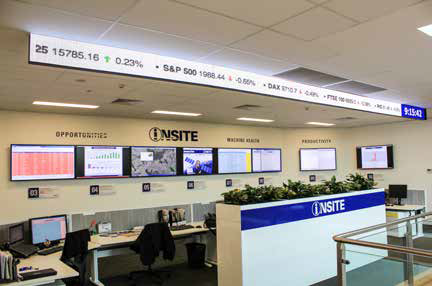 Komatsu manages the data coming from KOMTRAX through its ICT-powered INSITE Fleet Management Centre at its Fairfield headquarters in Sydney. “Our investment in ICT has significantly changed the way we interact with our customers throughout the region,” said Connolly. “It allows us to harness the power of our KOMTRAX systems, working in conjunction with other analytical and communications tools, to help increase machine safety, productivity, uptime and availability – and reduce customers’ costs per tonne, no matter where they operate. These ICT capabilities allow Komatsu and its service technicians to be far more responsive to machine issues when carrying out repairs or service and support calls. Known as “Fix It First Time”, this concept ensures that customers’ machine issues are identified, addressed and resolved in the shortest possible time, and on the first visit – minimising downtime and keeping repair and service costs to a minimum. “Fix it First Time focuses on getting our customers’ machine issues resolved in the least possible time, and on the first visit, so that downtime is minimised,” said Connolly. “This is another element of our holistic approach to machine monitoring, troubleshooting and servicing. Connolly said that this preparation, in combination with Komatsu’s fully qualified in-house technicians, meant that a technician with the right skills, the right parts and the right tools is dispatched to get each customer’s machine back to work quickly. “By reviewing the latest machine-specific ICT information before heading out to service that machine, our technicians can understand how the machine has been operating in previous days and weeks, including any abnormalities which have occurred. “This understanding allows for diagnosis and troubleshooting to begin before leaving the branch, creating the shortest-possible path to get a machine working again,” said Connolly. “This means that we are far more likely to fix the machine on the first visit. But remote monitoring is only one element in Komatsu’s telematics capabilities Komatsu is a pioneer in semi-automation– as a first step towards full automation – of complex earthmoving activities, such as digging, excavating, dozing, levelling and grading to high levels of precision. 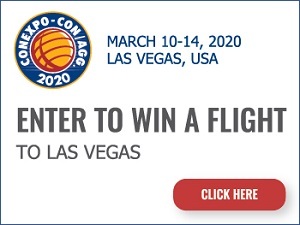 “In the past two years, we’ve introduced our integrated ‘intelligent Machine Control’ concept, which allows machines such as excavators and bulldozers to excavate, bulk out and trim – in high-precision complex 3D designs,” Connolly said. “Our intelligent Machine Control, or iMC, system is factory-integrated into select Komatsu machines and results in significant improvements in efficiency and productivity compared with conventional construction processes. More recently Komatsu has rolled out SMARTCONSTRUCTION, a completely new concept in construction technology with the potential to really change the face of the earthmoving industry – and the way it goes about its business. SMARTCONSTRUCTION covers the critical steps in a project’s development, from initial site survey, design and professional consultancy, through to final completion “It includes improving site process and productivity, machine control management, machine interconnectivity and review of project progress during the construction phase, and culminating in development of detailed as-built information for future construction and infrastructure maintenance,” he said. 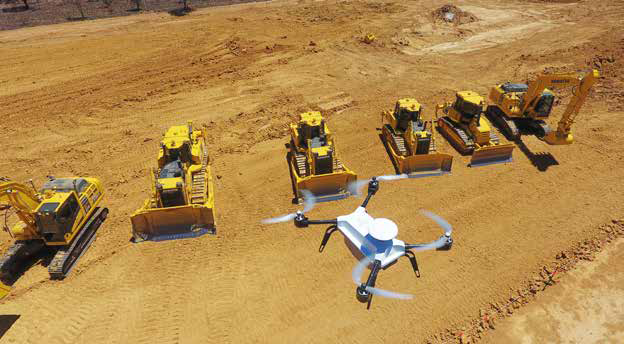 “Komatsu has integrated these technologies through the introduction of our drone-based survey and site management technology, and our cloud-based SMARTCONSTRUCTION Application information management offering. 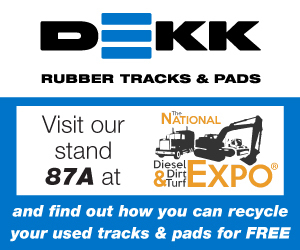 “And Komatsu today is unique in our ability to offer a complete suite of fully integrated, end-to-end range of cutting edge telematics-based products, services and solutions across every aspect of a project, and the life of the machines working on those projects. “It gives our customers a real edge in today’s increasingly competitive and challenging construction and resources extraction environment,” Connolly said.